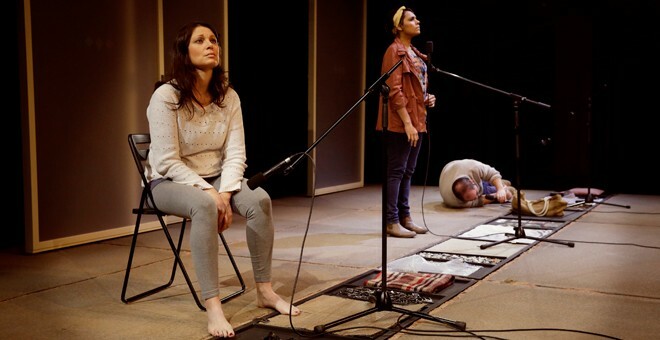 I composed the score and sound design for the play “Broken” at Darlinghurst Theatre. Supported by a moody underscore composed by James Brown, and Ben Brockman’s slow-fading lights, the effect is entrancing. 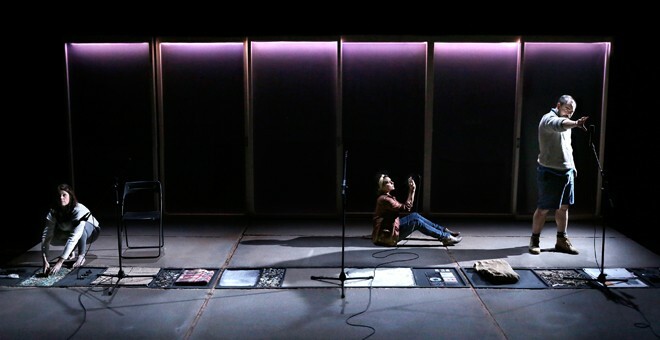 Director Shannon Murphy’s clever, stripped-back production makes this lyricism even more potent. It eschews a formal ‘set’, and each actor delivers their lines directly into hand-held microphones. James Brown’s sound design is equally low fi and similarly powerful: a tray of scattered pebbles becomes the sound of Ham’s feet trudging through gravel to find Ash’s upturned car; popping bubble wrap recreates the crackling fire lit while they wait for the ambulance.